Thomas Jesús Garza is Distinguished Teaching Associate Professor in the Department of Slavic and Eurasian Studies and Director of the Texas Language Center at the University of Texas at Austin, where he has received more than a dozen teaching awards during his 25-year tenure. He teaches courses on the Russian language and contemporary Russian culture. Over the last couple years, Anthony and I have discussed Thomas and the book he edited, The Vampire in Slavic Cultures, countless times and my only hang up on the purchase was the price: the 2009 edition currently goes for $154.27 CAD on Amazon.ca. I had decided before leaving for Texas that I would pick up a copy of his book at the symposium; buying it at the event would save me money on shipping—and the bonus was I could get Thomas to autograph it. Funnily enough, when Anthony and I made our introductions to Thomas, one of his first comments was he heard I didn’t have a copy of his book yet. I explained how I was going to buy one that day and he immediately offered to send me a complimentary copy. I am not one to turn down a free book so I accepted. I was a happy girl. During the symposium we exchanged email addresses and I followed up with Thomas on Nov. 2 while I was killing time at Salt Lake City International Airport for a four hour layover while heading home to Vancouver. I supplied him with my mailing address and he promptly responded the next day. On Nov. 19, 2015, I was super happy when I came home from work and found a large envelope from the University of Texas sitting on the kitchen table. Thomas did not sign the book itself, but included a personalized card with it branding a famous vampire. Thomas’ generosity does not end here. When discussing his book in Texas, he also offered to send Anthony and me each a copy of the new revised edition when it comes out. According to the book’s publisher, Cognella, it is being published in sometime in Fall 2015. 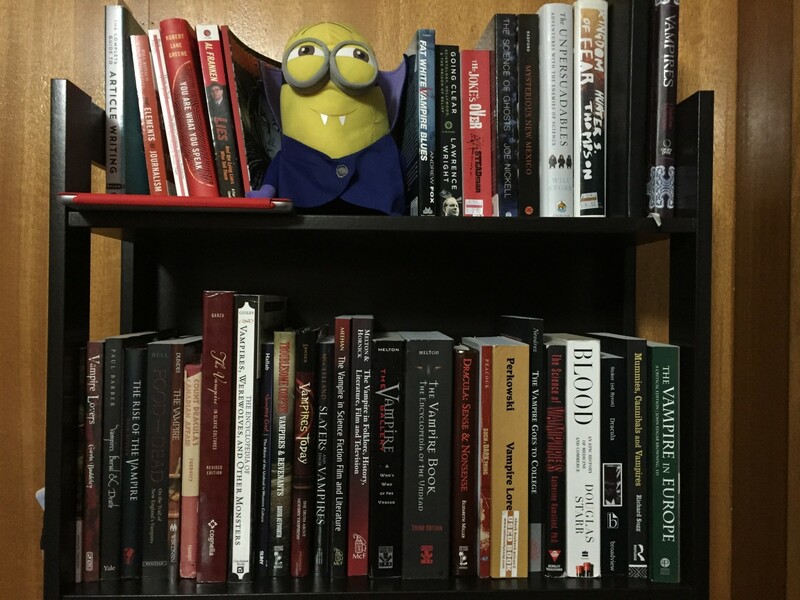 Thomas’ book fit nicely on my book shelf with my growing vampire book collection and I am excited to get the new edition when it comes out. 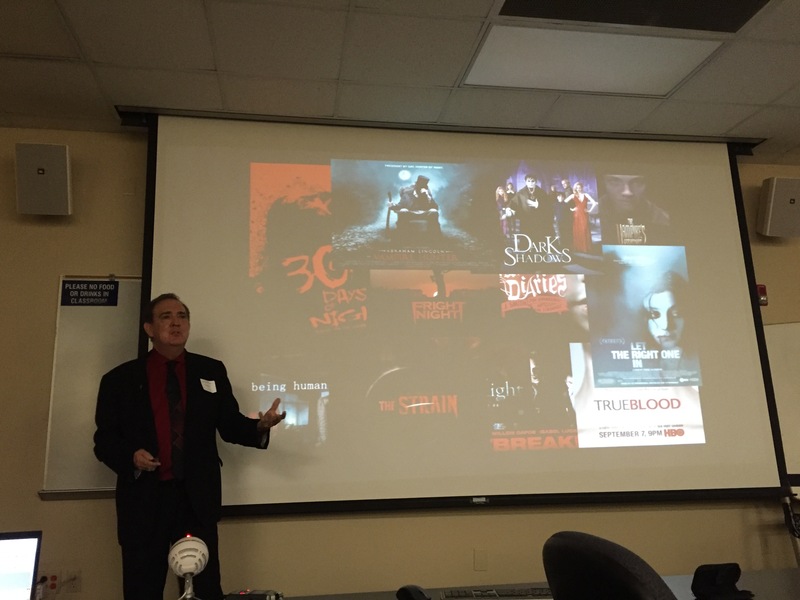 who aren’t familiar with his background: “Speakers,” Vampire Symposium 2015, accessed Nov. 21, 2015, http://vampiresymposium.com/speakers/. archive.is link: https://archive.is/bCMbM. currently goes for $154.27 CAD: “The Vampire in Slavic Cultures: J. Thomas Garza: 9781934269671: Books – Amazon.ca,” Amazon.ca, 2015, accessed Nov. 21, 2015, http://www.amazon.ca/Vampire-Slavic-Cultures-Thomas-Garza/dp/1934269670/ref=sr_1_1?ie=UTF8&qid=1448160938&sr=8-1&keywords=the+vampire+in+slavic+cultures. archive.is link: https://archive.is/YtCrE. 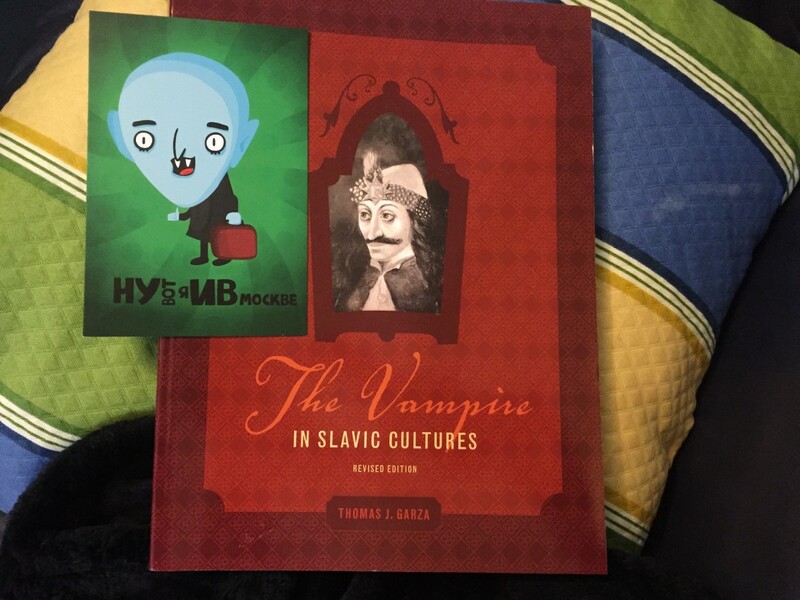 it is being published sometime in Fall 2015: “The Vampire in Slavic Cultures,” Cognella Academic Publishing, 2015, accessed Nov. 21, 2015, https://titles.cognella.com/the-vampire-in-slavic-cultures-9781934269671.html. archive.is link: https://archive.is/bgwbe. Anthony Hogg, “Q & A with Thomas J. Garza,” Diary of an Amateur Vampirologist, Sept. 19, 2011, http://doaav.blogspot.com.au/2011/09/q-with-thomas-j-garza.html. Previous article Does MS.2801 Reveal the First Appearance of Vampires in English?